Over 105 minutes of game time. That’s how long it took Seattle to finally find six. 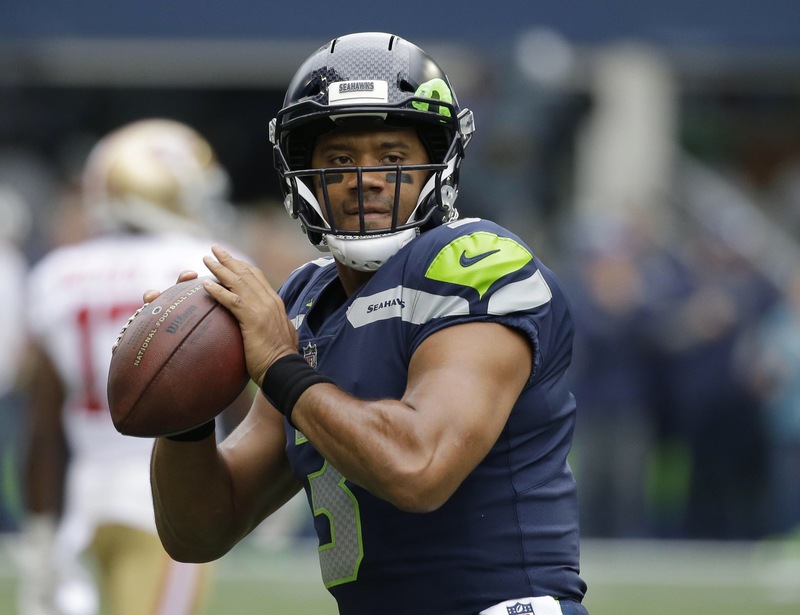 Midway through the fourth quarter, trailing by three points against a San Francisco team (that Vegas had a 15 point underdog on), Russell Wilson put the team on his back and ran for nearly half of the 82 yard hike to pay dirt, himself. That’s ugly offense. I love Russ and I love the Hawks, but it’s ugly. But there’s cause for hope, True Believers! Let me tell you why! Since his leaving, Seattle has been looking to “replace” Marshawn Lynch. While many want a kind of clone with Lynch’s ability to shed tackles in open territory, his style is unquestionably unique. However, I would take replacing his efficiency. How do you do that? For starters, you can’t have a committee of power backs. A few years ago I was able to watch a lot of Kansas City Chiefs games and I got to see how good Jamaal Charles truly was. He was never one to waste a touch. The crazy statistic that came out of his stint with KC was that he averaged six yards a carry. Crazy right? If you watched him, no. He really appeared to be gaining about six yards every time he got the hand off, it was insane. That’s the just type of runner he was. But that’s not power back running. 2 yds, 2 yds, 6 yds, -1 yds, 3 yds, 3 yds, 10 yds, 4 yds, -1 yds, 2 yds, 5 yds, 20 yds, 8 yds, 12 yds, 8 and so on. It takes a grind to make meaningful yards and walk out of the game about 4-5 yds a carry. 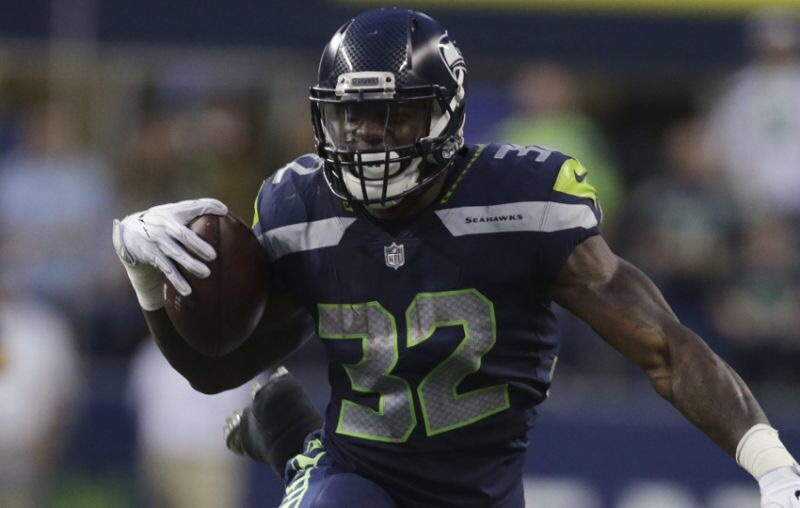 Coming into this season, the Seahawks backfield was a crowded house with returning team favorite Thomas Rawls, newly acquired free agent Eddie Lacy and change of pace back CJ Prosise…and it got even more crowded with the emergence of a late round pick out of Oklahoma State, Chris Carson. With Rawls and Prosise taking time to heal during preseason, Carson saw the field quite a bit during games, splitting with Lacy and others. Carson played better and was added into the conversation. Week one saw Rawls still sidelined so carries were split on Lacy, Prosise and Carson. While their offense did very little in the game, Lacy looked even worse. So…today. Rawls was back but not quite to form against a formidable Niner front. Sadly it was San Francisco that he went bananas on a couple of years ago in that franchise record setting day. In the second half, Carson got the call to feature and it paid off for a team struggling to find their offensive identity again. Carson finished with 21 touches and 100 yards from scrimmage. This is the kind of stat line Seattle wants, but it can only be gotten if you give him the ball that many times. Splitting 25-30 touches between three guys will not get you good chunk yardage, especially if the three are “downhill” runners. It’s no secret the offensive line of the Seahawks is a…to put it politely, a work in progress. Defenses know that if they can’t get a decent run game going, then Wilson will become the offense and now they only have to account for one guy. Carson becoming a feature and a potential problem for defenses will have to make them respect the run game. That means more men in the box, and that means single coverage on Hawk receivers. Russell places great trust in his guys in one on one situations and has no problem going vertical when the moment arises. The (hopeful) decision to have Carson be the guy makes the offense versatile and versatility is dangerous. And I hope they do, bro! I’ve been stoked about this kid since he was drafted and told family and friends to look out for him. I hope my praise pays off. I hope to see more red zone finishes on games to come. A problem Seattle has struggled with in the past, red zone efficiency can make you a one and done in the playoffs team, or take you to Minneapolis in February.